Dr. Lhota was recently awarded The Academy of General Dentistry‘s prestigious Fellowship Award during their convocation ceremony, a commencement celebration that recognizes AGD member’s commitment to excellence in dental education. Dr. Lhota accepted this award along with more than 267 other recipients this month in New Orleans. The Fellowship Award is presented to dentists who provide the highest quality of dental care by remaining current in their profession. In order to receive this award, Dr. Lhota completed 500 hours of continuing dental education, passed a comprehensive written exam and fulfilled three years of continuous membership with the AGD. As a recipient of this award, Dr. Lhota has joined an elite group of providers who have gone above and beyond basic requirements to help people reach and maintain oral health. The Fellowship Award symbolizes excellence in the dental profession and a commitment to providing exceptional patient care. 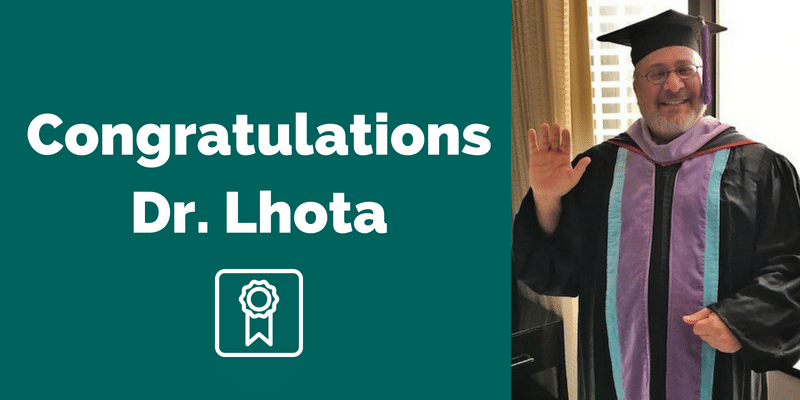 We’re so proud of Dr. Lhota’s achievement!